Are you looking for a new and inspiring way to get out of your mind and into your body? 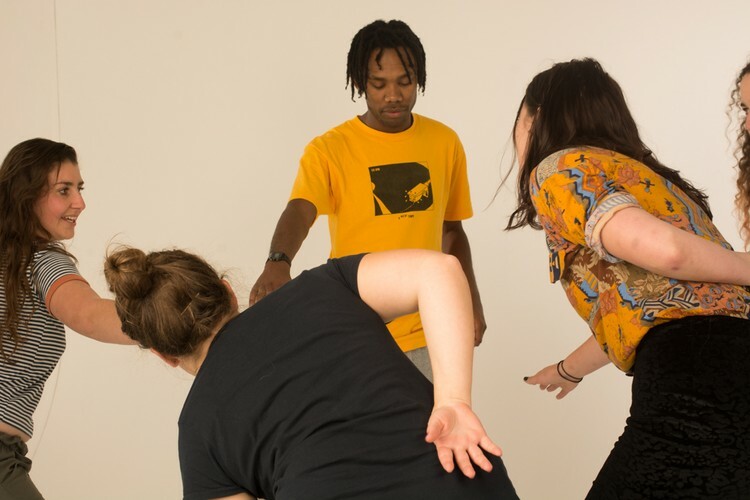 ‘Creative Movement’ at CoLiberate is a fun, all-entry guided experience to get your body moving! In this snappy guided session, a range of exercises are designed to lead you towards your play-state, helping you to activate your impulses, so that you can more readily connect to your intuition, and generate a feeling of ease and lightness in your life. It’s as challenging or as gentle as you make it - you can come exactly as you are! Exercises included are a combination of Body-mindfulness techniques, to quieten brain chatter and channel presence through body-awareness, and Game-based activity to connect, become playful, broaden imagination and access creative flow. There are also elements of theatre-based exercises inviting you to become an explorer in a physical representation of your past, present or future.